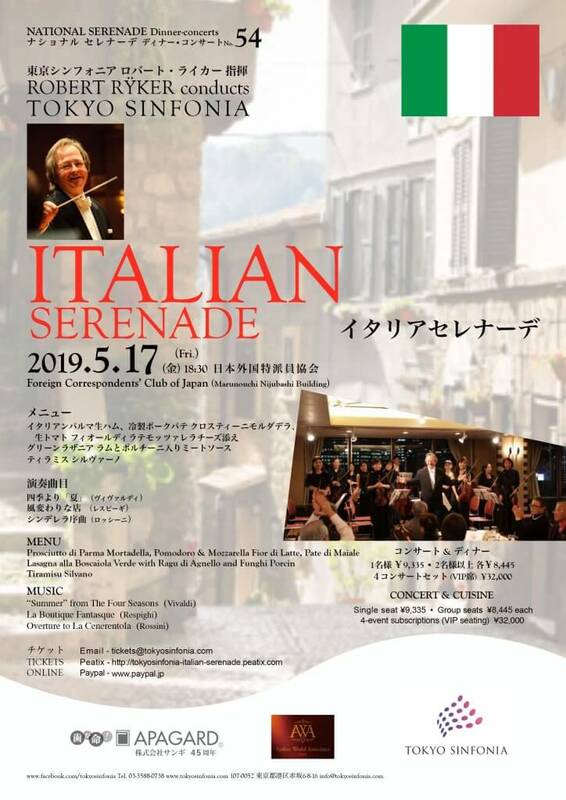 Performing unique classical pieces in a warm environment with friendly interaction with our audiences, our wide range of concerts in Oji Hall (Ginza) and dinner concerts in the Foreign Correspondents’ Club of Japan (Yurakucho) offer something for everyone. 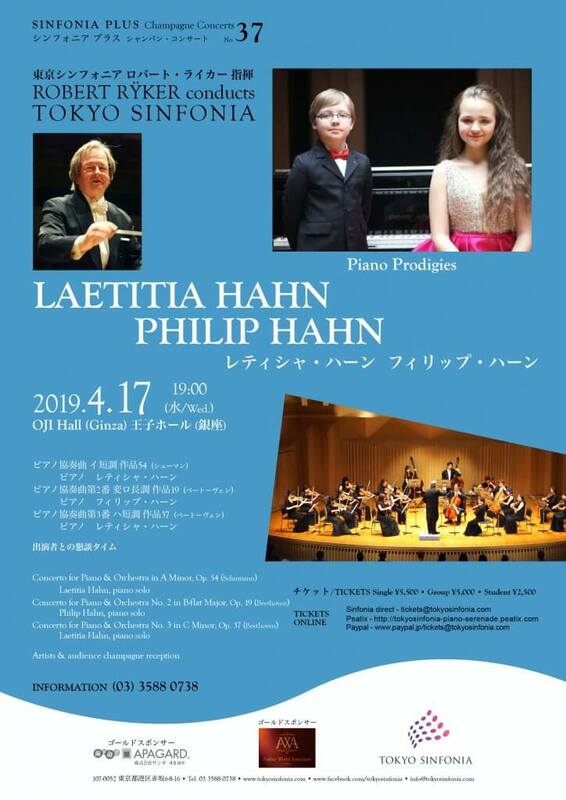 The all-inclusive cost for the concert & cuisine is ¥8,445 in groups of 2 or more. 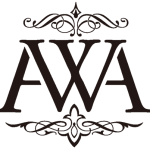 (We get many, many groups.) Single tickets are ¥9,335. 4-concert subscriptions offer advantages of economy and priority seating. Other seating is prioritised according to the initial order date. FCCJ members may check with the F&B Committee for further club benefits. 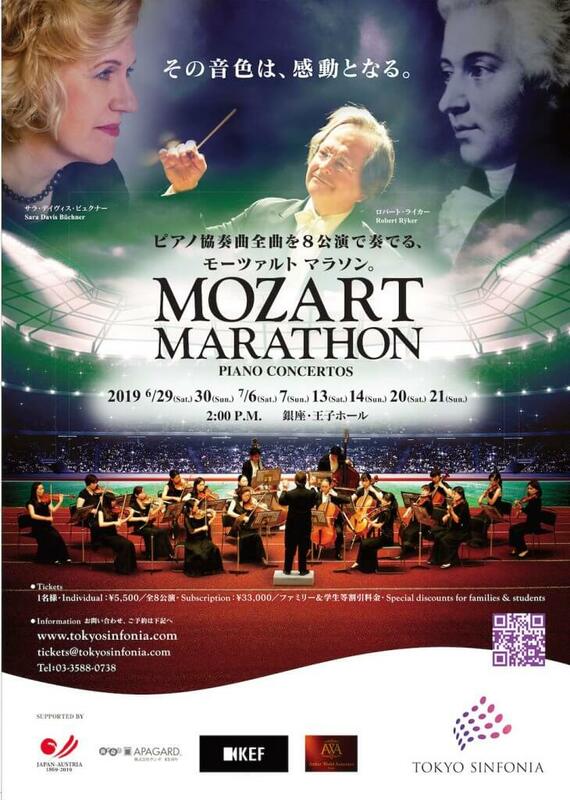 In June and July, pianist Sara Davis Büchner will perform an unprecedented musical feat with the Tokyo Sinfonia —a Mozart Marathon of 8 weekend concerts presenting all 21 of Mozart’s splendid piano concertos.